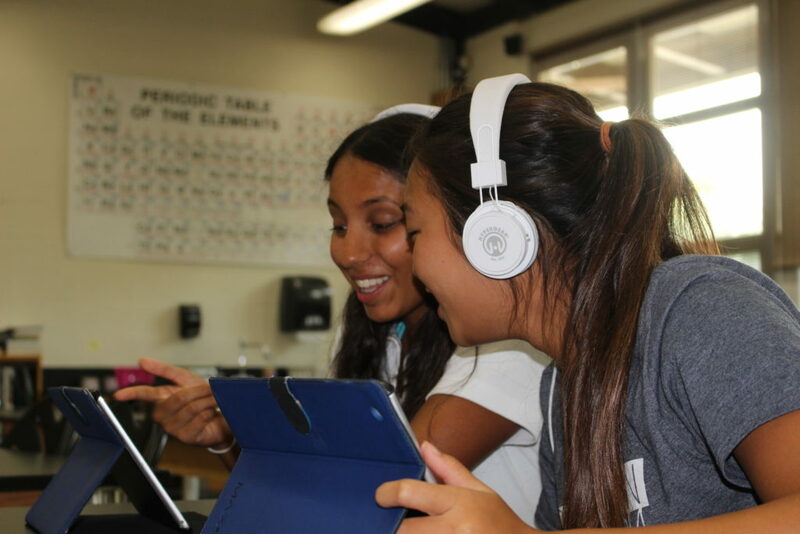 Not only is podcasting fun to do, but podcasting supports important 21st century skills for communication, critical thinking, creativity, and collaboration. Your students will love podcasting as a medium to express themselves, share problem-solving ideas and personal perspectives in story form. This is the second blog on how to podcast in class. Read Part 1 here where you can learn about all the technical equipment you need to get set up to record, edit and share your podcast. Once you have your equipment, start to experiment! Make sure you know how to setup and use your equipment and how everything works before trying any real recording. In this blog we’ll talk about the 5 steps for making a podcast: drafting, recording, and tips for putting it all together for a finished product. Choose roles for your project team. If you aren’t interviewing someone on your podcast, you can create a show outline and make sure you have all the participant voices planned out. “The Writer” can draft a script, which can be very much like a play script. You MUST read your story out loud and time your reading before you start to record. This allows you to hear whether what you wrote actually sounds good. It also allows you to put the time together with the clips from the interviews and see the total length of the feature story. Key tips: Think about all the angles or themes or frames for a story. Plan to keep the podcast length to 10-15 minutes. Keep topics moving, and limit topic coverage to 2-3 minutes. Try to use interviews with guests as a way to break up the conversation, pace, and tone of your shows. Here is an example podcast outline. Keep your writing style conversational, easy-to-understand, with little jargon. When it’s time to record, “The Recorder” needs to make sure you have an optimal environment for sound recording, meaning somewhere quiet that won’t have many interruptions. Find a quiet spot in a room with a rug and other objects to absorb excess sound. If you have a storage closet in the classroom you can turn it into the recording studio. Read your tracks in a slow, conversational way. Sound like you are telling this information to a friend and not in a put-on “radio voice”. Not only should you record the talking parts of the podcast, but also record ambient noises that help tell the story. Not all stories have ambiance. Ambiance is the noise in the background of a story. But in order to set a scene and paint a picture in people’s minds, it’s best to do it with the ambient sound of the location or subject matter of the story. Key tips for recording: Keep faces close to mic, don’t speak while others are talking, don’t agree, laugh or make any noise. Don’t hold the mic directly in front of someone’s mouth as this results in popping “p’s” and other mouth noises. When it’s time to edit, “The Editor” will lead the group through listening to all the audio clips of the interviewed guests and choosing which ones to keep, and which ones to cut. “The Editor” helps by advising “The Writer” and “The Director” on story treatments, the best audio to use and parts of a story to highlight. Using the clips that are chosen, the Editor, Director, and Writer will collaborate on the final vision the podcast story, which may have shifted slightly after an interview. Key tips for editing: Save the recordings in their initial rough copies and make copies when you edit, so that if any mistakes happen in editing you always have back up! At this stage, the story has taken form and it’s now time to create the final draft and fill in any missing pieces. “The Writer” will keep this in mind as he or she finalizes the overall podcasting story arc and creates the introduction script, any additional pieces that are needed to help move the story, and a conclusion. Some key tips: Structure the story in a way that delivers compelling information at the top/beginning of the story. Always attribute quotes from sources and let the audience know where your information comes from. Now is the time to finalize all the components of your podcast story, record, and combine all the audio clips together in a thoughtful way. Everyone will collaborate to help polish the story to embody the vision within the final production. Key tip: Practice, practice, and practice! Read the script several times out loud before you actually record. The final version of a high-quality podcast should have a storyline with an introduction and conclusion, showcase multiple voices, and some clips of ambient noise. Music can also be a great addition. Music use in news reporting is not standard but is considered an editorial element. But music can be a powerful tool in the radio storytelling toolbox. Music can build tension, develop emotion and deliver impact. It can be a subtle way to move a story forward or to punctuate a point. Clear – The recording is audible and comprehensible. Clean – The recording is well-edited: free of pickups, retakes, and other distractions. Creative – The more unique and engaging a story, the more engaging it will be to the listener. Additive – The audio is there for a reason—for increasing the impact of your storytelling. Now it’s time to assign a podcasting project to your students! In your student’s first podcasting project, keep it simple. They should be aiming to research, record, write and edit a feature story that is under two minutes but has at least two actualities. They should spend one class period or homework session conducting the interviews for the story. Plan to do the editing in class. Happy Podcasting! Find more podcasting resources on our teacher support center and download the free PDF Guide to Podcasting in Your Class.